For business owners who want financial security now and freedom in retirement, having a financial planner on the team is a must. A close working relationship between your financial planner and your accountant, such as the link between Porters CA and Knight Financial Advisors, will accelerate your results. Many people view a financial planner as someone you invest lump sums of money with, however the role extends well beyond that. A Financial Planner does exactly that – they plan for your financial future. Services can include investment of existing funds, establishing and managing Self-Managed Super Funds and ensuring you are covered with appropriate personal and income protection insurances. A financial planner will create a customized, strategic action plan to help you achieve your personal financial goals. Getting to know you and your business inside out is the first step a financial planner will take to understand where you are now, where you want to go, and then determine the steps you need to take to get there. Still not sure you and your business need a financial planner? Consider these key benefits. It’s not unusual for an entrepreneur to launch a business and never get around to planning for the future. If you’re young and healthy, it may feel like retirement is too far off to think about. Even if you won’t retire for another thirty years, you’ll have a much better chance of achieving those far off goals if you lay the groundwork now. The earlier you start saving, the more time your money will have to compound, and your wealth to grow. It’s not all about retirement planning. Financial Planning is about protecting the financial well-being of your family and your business with appropriate insurances in the case of accident, injury, illness and other unforseen circumstances. While we don’t like to think about it, estate planning should also be considered. 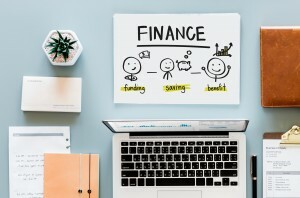 In the first few years of a business, it’s not uncommon for entrepreneurs to try to save money by doing everything themselves. When it comes to financial planning, however, hiring a professional can save you both time and cash. A financial planner can offer expertise and an objective eye – all the better to help you make the right decisions and avoid making costly mistakes. Recent stats show that far too few small business owners have met with a financial planner, and most aren’t adequately prepared for the future. If protecting your business, the people you care about, and your lifestyle aren’t reason enough to meet with a planner, consider this: integrating a financial planner with an accountant will help improve your company’s profitability. Your planner and accountant will advise you on opportunities to cut costs, invest wisely, implement the right tax strategies, and, based on accurate forecasts and projections, when to scale. Why not talk start taking the right steps to improve your bottom line, grow and protect your wealth by talking to a financial planner today?